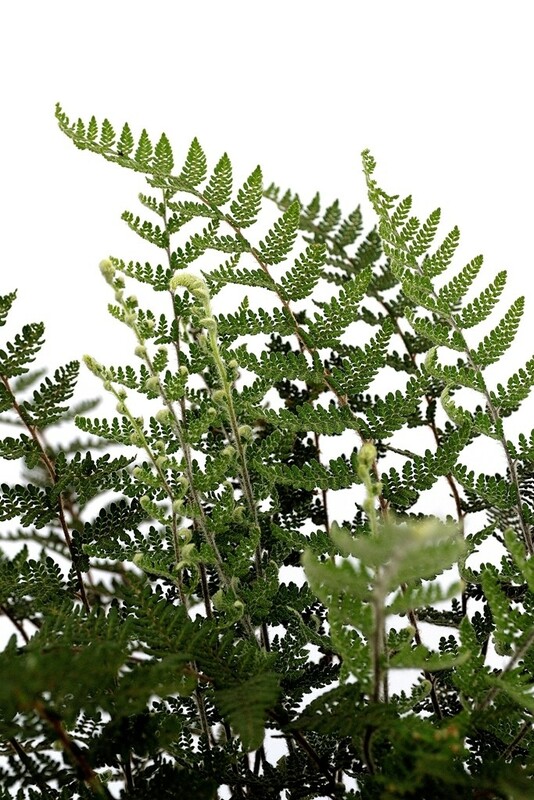 The Cheilanthes Lanosa is a lovely fern with soft foliage of silver-grey-green colouration. 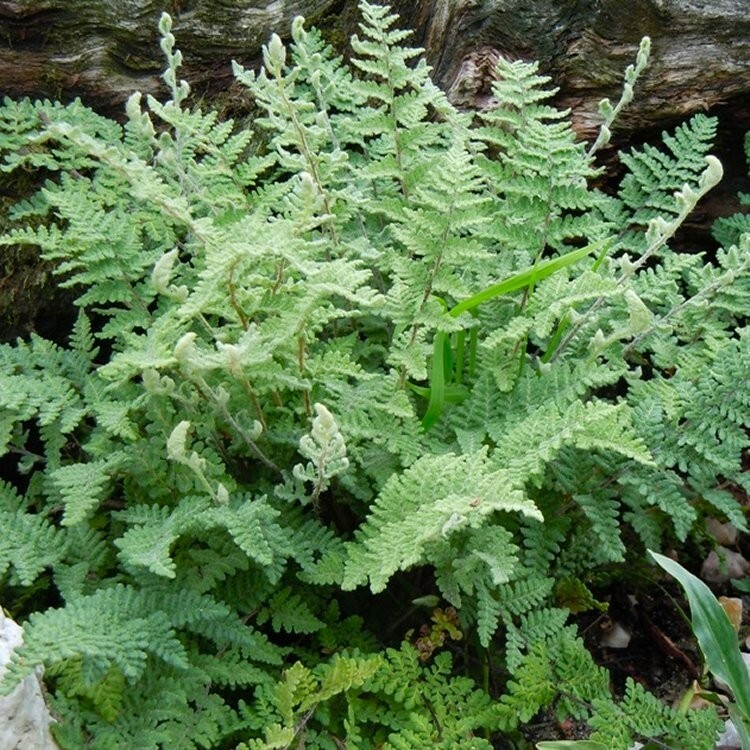 Shade-loving, unlike many ferns this variety prefers a loose, gritty rock garden type situation and will even thrive in partial or full sun. 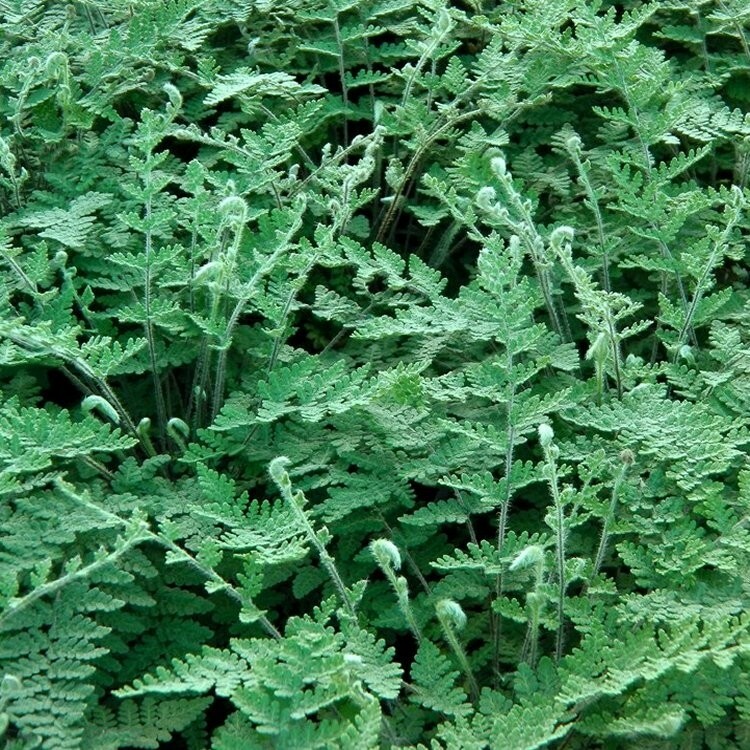 It forms a low, tufted clump of finely divided fronds, covered on both sides with soft downy hairs which give the silvery-grey look. Native to the Southwestern US, this will handle hot, dry summers, with its roots cool down among the rocks. Supplied in approx 2 litre containers.